The Test, Measurement, Assessment, Evaluation, Questionnaire, Profile, Appraisal, Examination, Analysis, Study, X-ray, MRI, Lipid Panel, Mammogram, Turn-your-head-and-cough, and many other tools are means of gathering data for awareness. The names of instruments and processes for gathering information may sound intimidating, but we realize when one is recommended, it is intended to help us and that the results will be used to develop strategies to do so. While many of our colleagues in the Career Industry are not (nor need to be) qualified, licensed, or approved to use many types of screening tools, our clients still deserve to know we understand them well enough to develop effective strategies and appropriate materials to provide quality guidance and help. Therefore, certain assessments are needed. The DISC assessment is a tool designed to determine behavioral traits and interpersonal skills. The results explain and increases awareness of how respondents react, respond, and interact with others, approach problems and challenges, their need for details and facts in decision-making, their preferred activity pace, their favored focus for either people or projects, and levels of compliance to rules, regulations and policies, while also, if desired provides appropriate job titles based on the results. 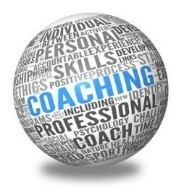 Is it obvious the information collected and reported from the DISC assessment is exactly what is needed by career coaches, writers and others in the career industry? Is it obvious how valuable that same information is to clients of career coaches, résumé writers and others in the career industry? DISC assessments provided by ProfilingPro come with support materials and action plans to help effectively implement strategies, skills and behaviors to help reach goals. Whether the client's individual career track is blue collar/vocational, front line customer service, face-to-face sales, technical/professional services, supervision/management or executive staff/boardroom, it's important for the individual to have the skills to communicate and demonstrate those behaviors and the value they bring to an environment. Our clients deserve to better understand themselves and others, to communicate effectively, while establishing effective relationships. Approach to planning, discussing ideas, and responding to concerns. Recognize areas for development; self-improvement, relationship enhancement.